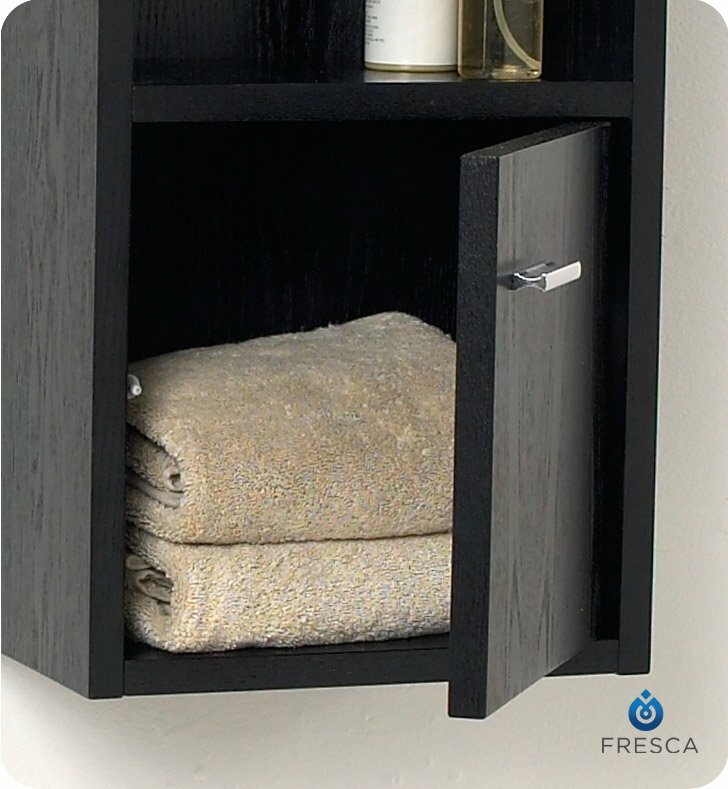 Store linens in style with the Fresca Wood Finish Bathroom Linen Cabinet, model FST2018WG. 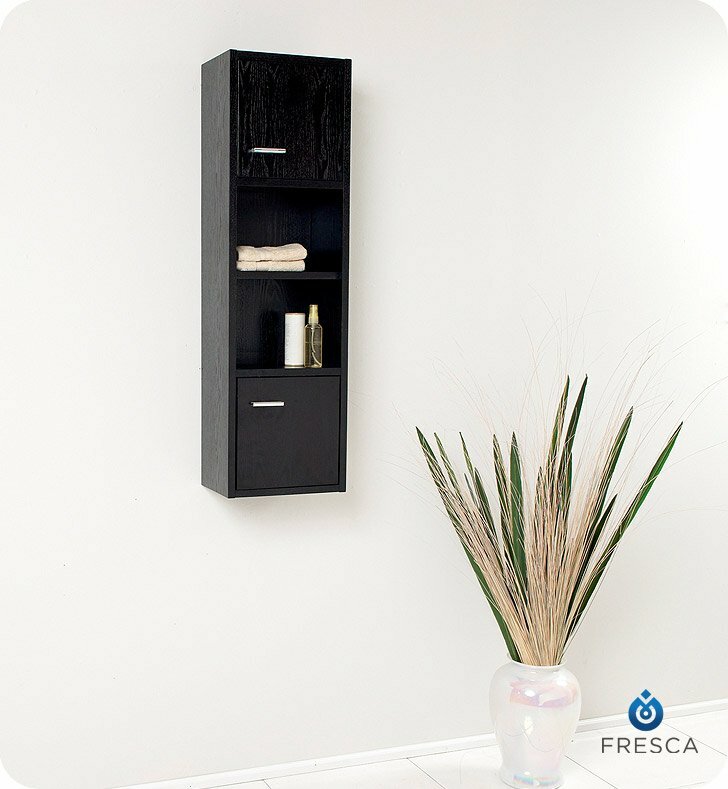 This handsome wall-mounted cabinet features closed top and bottom cabinets, with two open display shelves sandwiched between them. 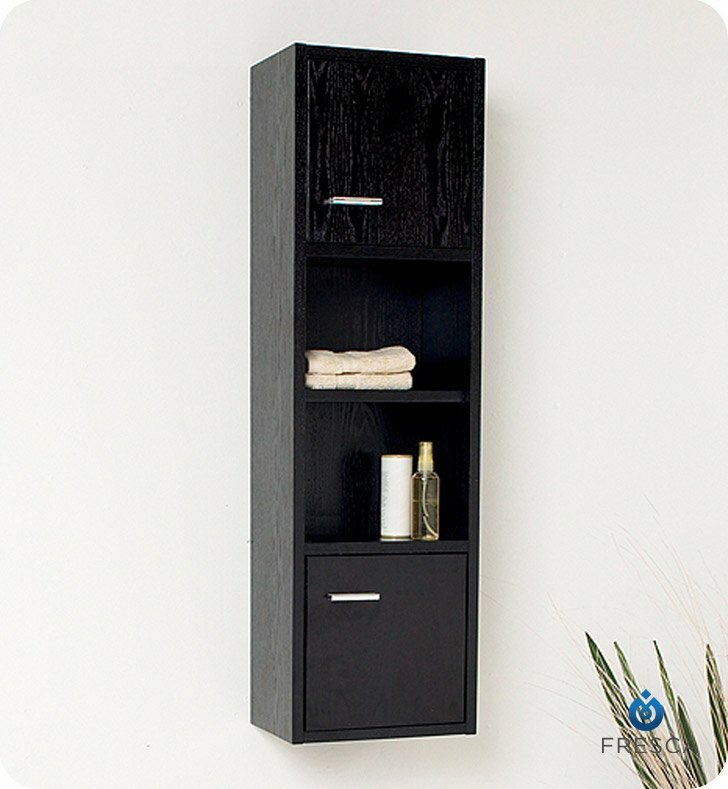 Measuring H 39 3/8" x W 11 3/4" x D 8", this wood linen cabinet offers plenty of storage without taking up valuable floor space. 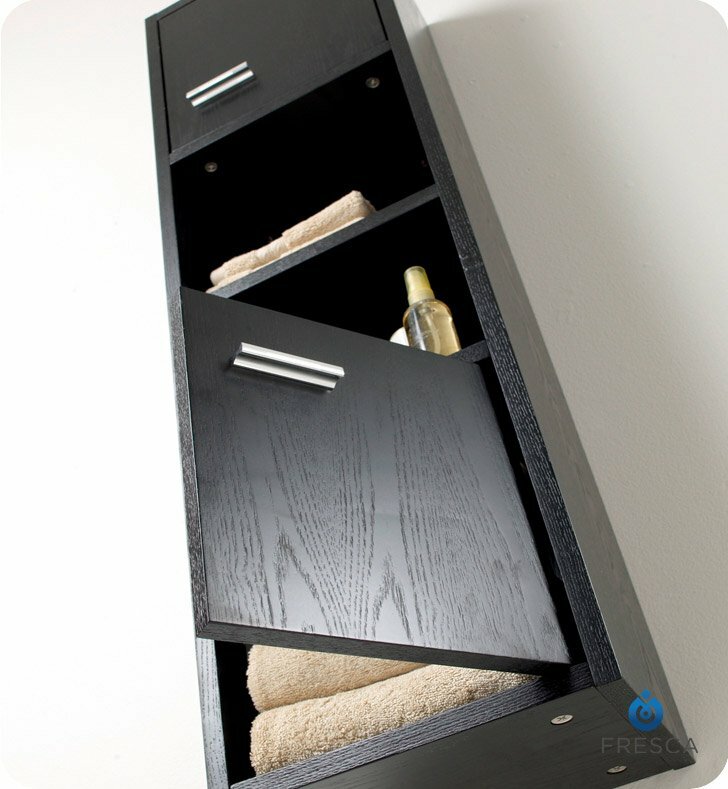 A translucent black finish allows the natural wood grain to show through for visual interest, and wedge-shaped brushed metal handles add a contemporary touch. Dimensions: H 39 3/8" x W 11 3/4" x D 8"